Fifteen-minutes pencil sketch while riding the bus home last night. 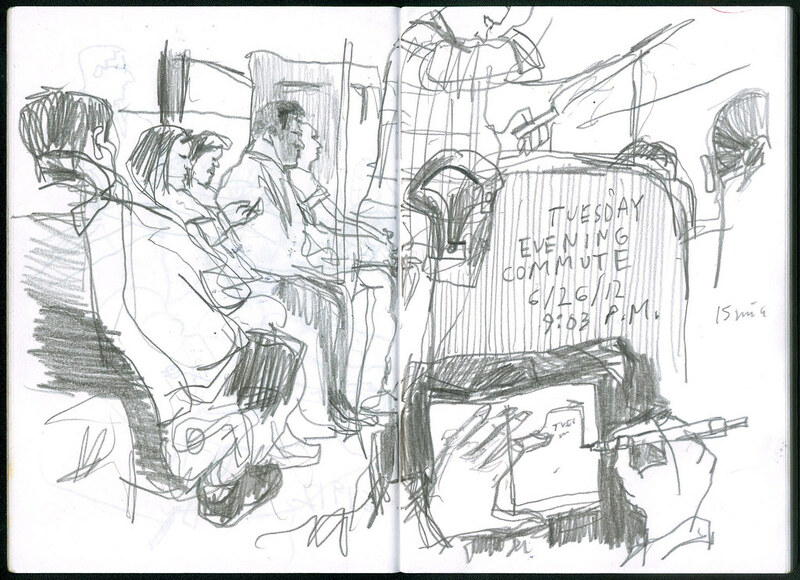 Drawing fellow bus commuters is what got me hooked on urban sketching when I moved to Seattle in 2006. Staedler Mars-780 leadholder with HB graphite lead on 8″ by 6″ pocket sketchbook spread.